Despite its roots in Ethiopia, coffee is as American as apple pie. For many of us, brewing an antioxidant-rich cup is a staple of our morning routine—no less important than brushing our teeth. Java, with its nutty flavor and 80 milligrams of caffeine in the average cup, has us hooked. But is our habit healthy? Read on to learn more. Studies are split on coffee’s effect on the body. 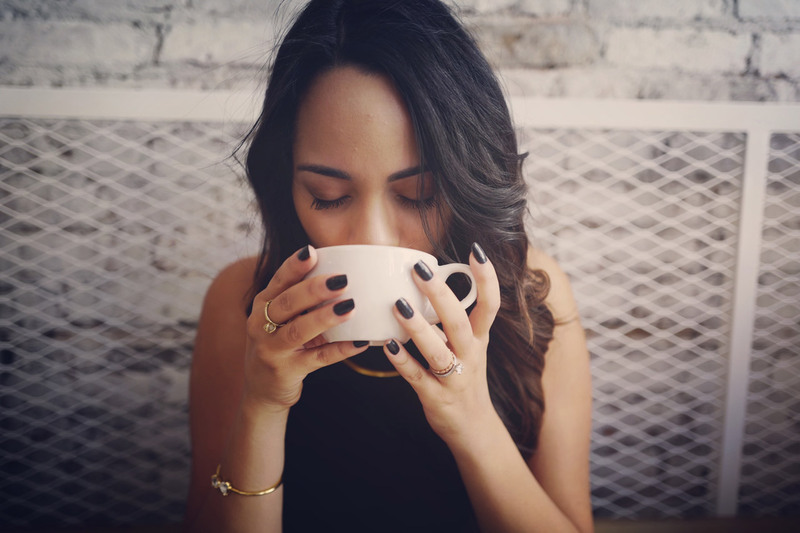 On the pro side, its caffeine can activate dopamine, which boosts memory and performance, says Erin Coates, RD, health coach at the Cleveland Clinic. “Caffeine has been shown to give athletes a boost … it helps them perceive that the work they’re doing takes less effort than it actually does,” adds Julie Stefanski, RD, nutritionist and spokesperson for the Academy of Nutrition & Dietetics. In terms of general health, recent studies have shown that both caffeinated and decaffeinated coffee might lower the risk of death from heart and neurological diseases; reduce the risks of liver disease, cancers and death by stroke; and improve the functioning of small blood vessels, Coates says. Studies have also indicated a link between antioxidant-rich coffee and a reduction in headache pain and cavities. On the negative side, caffeine can interfere with sleep and can lead to jitters, irritability, GI upset, dehydration, increased blood pressure, irregular heartbeat and heart palpitations. It also may negatively affect the body’s absorption of calcium and increase the risk of heart attacks, particularly during exercise. For anyone with acid reflux, Stefanski recommends caution because the acidic beverage can trigger symptoms. Similarly, caffeinated coffee (as well as tea) can irritate the bladder, exacerbating urinary tract infection symptoms. That said, in general, “for most individuals without heart disease or high blood pressure, regularly consuming two to three cups of regular coffee per day is considered acceptable,” Stefanski concludes. What about energy drinks and caffeine supplements? Americans spend more than $12 billion per year on energy drinks and shots, Stefanski says. Unfortunately, “whether from caffeine toxicity or additional factors yet to be determined, their consumption is tied to 20,000 emergency department visits per year,” she warns. “Most often, these visits are due to cardiovascular effects, including palpitations and even cardiac arrest.” Instead of such products—which tend to also contain sweeteners plus several other substances, such as taurine and guarana—she recommends sticking with coffee. As for caffeine supplements, they can help those looking to cut out diet soda or enhance their performance, Stefanski continues. “According to a 2018 study in the Journal of the International Society of Sports Nutrition, Coates cites, “caffeine supplements (in doses of 3–6 mg/kg) were shown to improve physical and cognitive performance in several [combat] sport modalities due to their effects on the central nervous system.” To experience such benefits minus the GI side effects that sometimes accompany coffee, some runners rely on caffeinated gum on race mornings, Stefanski adds. That said, the Food and Drug Administration warns against high doses of highly concentrated caffeine in powdered or liquid form, Coates says. After all, according to the FDA’s website, 1 teaspoon of the powder is equivalent to up to 28 cups of coffee, and the liquid form is easily mistaken for other household liquids. “With caffeine so readily available in safer forms like coffee, tea and dark chocolate, it seems unnecessary to supplement,” she says. How and when should I take my coffee? Make sure the beans are entirely or mostly Arabica (as opposed to less-flavorful Robusta), says David Kovalevski, founder and CEO of Waka Coffee. Grind the beans right before brewing, and use water with a temperature between 190 to 205 degrees, Kovalevski suggests. If you plan to use caffeine to boost your athletic performance, begin lowering the quantity you consume a few weeks before race day. That way, the stimulant will have more of an impact on the date of your event. To avoid sleep disruptions, don’t drink caffeinated beverages in the afternoon. The chemical can take up to 10 hours to completely clear the bloodstream, Coates says. Whether you go for a cup of joe is up to you. After all, nutritionists seem to agree that drinking a moderate amount is probably harmless and might even be helpful. Just avoid the nutrition and safety pitfalls. Skip the sugary energy drinks, sodas and nondairy creamers. If you plan to take caffeine supplements, be careful about the overall quantity of the stimulant you ingest. The average cup of tea boasts 40 to 60 milligrams of caffeine, says Emeric Harney of Harney & Sons Fine Teas. For a higher dose, try the powdered Japanese variety, matcha, which can have upward of 70 to 80 milligrams per cup, he suggests. In addition to caffeine, matcha is rich in a catechin called EGCG (Epigallocatechin gallate), which can have cancer-fighting effects on the body, Coates says. For an energy and antioxidant boost each morning, she mixes 1 teaspoon of matcha powder with 8 ounces of water and one cinnamon stick, while Stefanski stirs the powder into chia puddings, smoothies and oatmeal. For even more caffeine, try guayusa, yerba mate and yaupon, which contain more than 100 milligrams of caffeine per cup, Harney says. For the proper preparation, use 1 teaspoon of loose tea for every 6 to 8 ounces of water (filtered or spring water at the proper temperature): boiling for herbal and black teas and simmering for white, green and some oolong teas. In general, steep white tea for three minutes, green tea for one to three minutes, oolong tea for three to four minutes and black tea for four to five minutes.